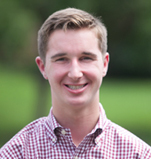 Mr. Helmer is a high school student who founded the Kendall Bayne Foundation as a freshman in high school. He is a nationally recognized equestrian, who resides in VA, NJ and FL during the year in order to compete. He attends the Stanford University Online High School. 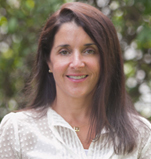 Dr. Helmer is a clinical psychologist who is in private practice in Roanoke, VA. She specializes in working with adolescents and their families. Dr. Helmer received her M.A. from Boston College and her Psy.D. from the University of Hartford. Dr. Prusakowski has been a pediatric emergency physician at Carilion Roanoke Memorial Hospital since 2008. 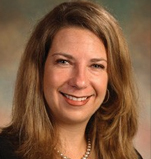 She works extensively with the Virginia Tech Carilion School of Medicine as the Assistant Dean of Admissions, Assistant Program Director in Emergency Medicine, and Procedural Skills Director in Pediatrics. She is an Associate Professor in Emergency Medicine and Pediatrics. Dr. Prusakowski received her B.A in Molecular Biology from Princeton University and her M.D. from Rutgers University Medical School. She completed a pediatric residency at Robert Wood Johnson – Bristol Myers Squibb Children’s Hospital and a fellowship in pediatric emergency medicine at the Children’s Hospital of Philadelphia. 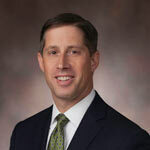 Mr. West is the Vice President of Marketing and Business Development for Medical Facilities of America, Inc. He earned his B.A. in chemistry and economics from the University of North Carolina at Chapel Hill. Mr. Harrison is the managing partner for HCO Private Wealth, a boutique wealth management firm in Roanoke, Virginia that works with entrepreneurs and physicians in the Roanoke valley. Mr. Harrison has helped found numerous non-profits throughout the valley and serves on several non-profit boards. 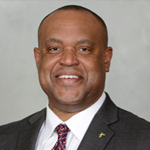 Coach London is the current head football coach for Howard University in Washington, D.C. Prior to joining the team in 2017, Coach London served as the head coach for University of Virginia and the University of Richmond. He has also coached with the Houston Texans, the University of Maryland, College of William and Mary, and Boston College. He played for the Dallas Cowboys.